Sta. Rosa, Laguna, Philippines – There is truly more to love about Enchanted Kingdom’s newly-opened flying attraction AGILA: The EKsperience, and that is, its adjoining retail concept store aptly named “Pugad.” The word Pugad, which translates to “nest” in English, is EK’s modern take on promoting the traditional, indigenous and time-honored crafts of the diversely rich Philippine regions. It’s a one-stop souvenir shop carrying a wide selection of local products bursting with cultural flavor and that unique Filipino identity. In 2016, a landmark partnership between Enchanted Kingdom and the Department of Trade and Industry (DTI) was forged, with EK President Mario O. Mamon, COO Cynthia R. Mamon, and DTI Undersecretary of the Industry Promotion Group Nora Terrado signing the agreement. 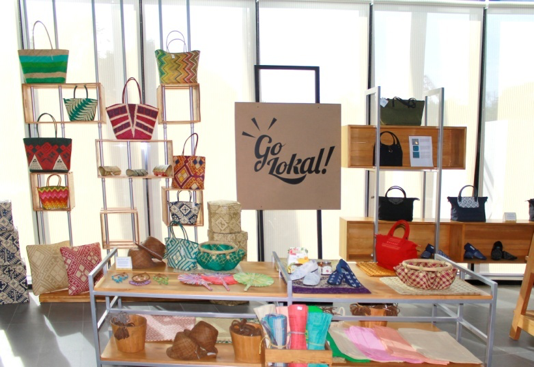 Under the “Go Lokal” initiative,EK is able to support Micro, Small and Medium Enterprises (MSMEs) throughout the Philippines, by providing the perfect platform to showcase, market and sell MSME products to a bigger clientele through the Pugad store. Enchanted Kingdom’s Merchandise Division Head Cheri Consunji believes that the partnership came at the right time, especially with EK’s move to begin localizing its park merchandise. “The items that we carry at Pugad have a story. This is one of the ways that the mindset of our millennial audience comes into play. Buyers are now looking to support products which have an interesting story to tell… I believe that this is a testament of the high quality of products that we can get from Filipino entrepreneurs,” she shares. 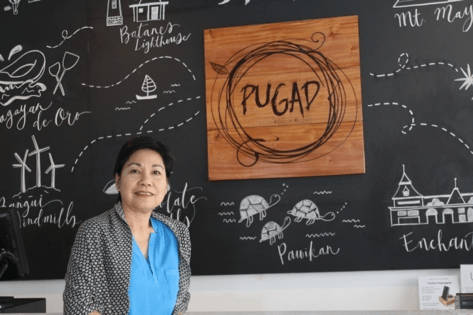 The select merchandise sold in Pugad are sourced from different provinces and meticulously handpicked by EK and DTI representatives themselves. Consunji, along with EK Purchasing Head Mercy Gaurano and DTI’s Ruby Aguas flew to the southern province of General Santos last November to attend the 3rd Regional Showcase of Region 12 Products and Services, dubbed the Treasures of SOCCSKSARGEN. The much-awaited trade expo was participated in by at least a hundred MSMEs, tour operators and farmers organizations, and attended by an estimated 4,000 people. Consunji, Gaurano and Aguas scoured the entire SM GenSan exhibit area for unique items to bring back to EK. 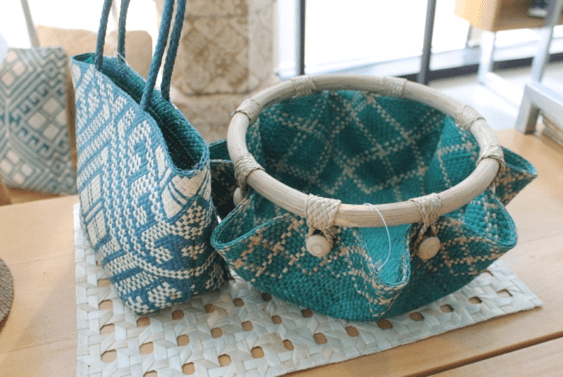 Finding their rightful place in Pugad’s store shelves are “banig” bags woven by the women of Basey in Samar, a community affected by Typhoon Yolanda; shoes and bags made from handwoven fabrics of Ilocos and Benguet weavers, and Mindanao’s Yakan tribe. There are ethnic anklets and bracelets made from Agsam Vine, a material found only in Surigao del Sur and used as talismans by the Mamanwa tribe. Food items include delectable preserves in Pina Coco, Mango and Banana Blossom flavors. Agila: The EKsperience and Pugad make for an unbeatable combination to make Enchanted Kingdom guests fall in love with the Philippines over and over again. Fly high with Agila and land on Pugad, and come out beaming with national pride, and quite surely, with a unique homegrown souvenir or two in tow. Pugad is located at the ground level of the Agila building. It is open during EK park hours, from 12pm-7pm Thursdays and Fridays, and 11am-9pm Saturdays and Sundays.